Home is a special place for all of us. It’s comfort, family, friends, familiar sights and sounds. It’s likely where we feel best about ourselves. One space helping us to relax, prepare and unwind everyday is a rejuvenating master bathroom. Value added features can make this experience even more enjoyable. Suppose it’s winter here in the Midwest and the chilly, dark morning has you less than thrilled to jump out of bed and begin your day. Prepare for these cold mornings by installing a heated floor with a timer set to turn on well before your alarm even goes off. The heated floor system is installed before tile is set, so you can choose your ideal tile for a completely custom look. 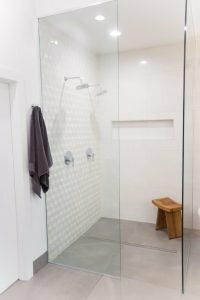 Couples or even the busy, single mom could express one water head in the shower doesn’t quite meet the expectations of a full shower experience. 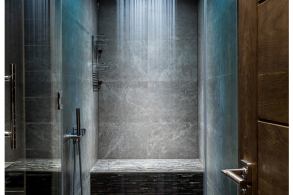 Why not consider multiple shower heads and sprays for full coverage and an efficient spa-like experience? If you’re into the technical applications, systems are even available to operate from a smartphone. Now imagine waking up and walking into a master bath with a warm floor and a pre-heated shower set to your preferred temperature. Now that is truly a rejuvenating master bathroom. 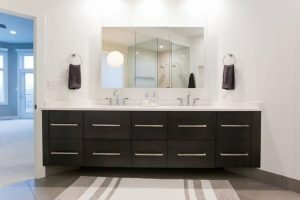 These bathroom options could be the key to a joyful, rejuvenating experience morning or night in your freshly renovated or newly built bathroom. Be sure to explore and search for inspiration and bring your ideas to the ACo showroom. Their helpful designers are sure to make your bathroom an oasis you will love. Call ACo today at 317-688-1972 to schedule your appointment or visit them online at liveaco.com.